The next day, we visited one of the operational schools that Jerry Smith had started in the late 80s. When we got out of the vans, kids starting flocking towards us and started following us around. I guess foreigners draw a lot of attention and curiosity. We felt like celebrities as the kids wanted photographs of us, and autographs. 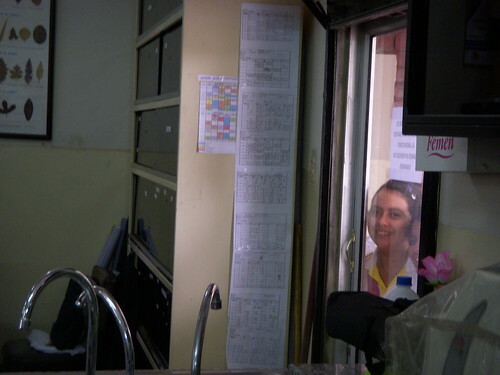 As we entered different classrooms, kids would be pressed up against the windows trying to get a glimpse of us. As a technologist, I was particularly interested in seeing the science labs and the computer labs. When I got into the computer lab, I saw a kid discretely playing Quake on one of the computers. I will admit to secretly playing video games during computer class as well when I was a kid, but hey, I turned out okay. What struck me as surprising was that the occasional kid did have a laptop. When I asked about what technology usage was like in school, I was surprised that over 90% of the kids have email, and the most popular email client was Hotmail. A lot of the kids got access to the internet from internet cafes, or someone in their neighbourhood had an internet connection and rented out its usage. It dawned on me that their internet usage was like what it was in the late 90s. When I saw the kids learning at the computers, it dawned on me that the next Bill Gates could arise from a place like this. We got to meet some of the physical education coaches, and I was blown away by the calibre of talent that the school had attracted. One of the coaches used to be a soccer superstar; in his youth he was an athlete who used to showboat a lot, in his older age now, he regretted his attitude back then. The coaching staff brought in a lot of titles and trophies for the school. We moved on to the principle's office, and Jerry was telling more about the calibre of talent they had brought in. The principle used to be one of the heads of education for the state. 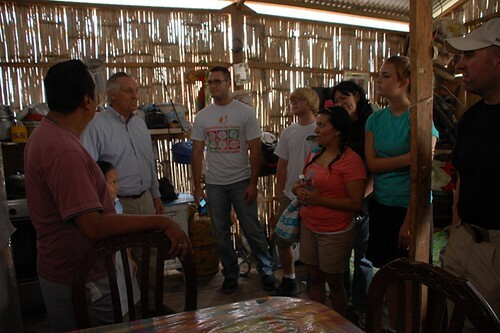 Jerry showed him the school that he was working on, a school that gave equal access to quality education for the poor. Eventually the head of education resigned his prestigious role to come work at Jerry's school. I was blown away by these repeated stories of highly skilled people leaving their perfectly good careers to come work with Jerry and his purpose and vision. The ultimate goal was to get kids graduated, because if they did, they could head to university for free and break the cycle of poverty. In the office, there was a photo of a student assembly commemerating a story of AIDS. It was a sad story about a group of girls hanging out at a club, trying to see who could leave the club with a cute guy they knew. One of the girls "won" and spent a night with the guy. A couple months later, the girls found out that the guy had died of AIDS. The girl went in for a test and she was confirmed to have AIDS as well, and she didn't have much time to live. She told the principle what had happened. The principle asked her if she could speak at an assembly in the hopes of saving people from AIDS. She agreed. At the assembly, she started telling her story, and the kids weren't really paying attention. She finally got their attention when she said, she used to sit there in the assemblies like everyone else not paying attention, but this story was important because in a few months, she would be dead from AIDS. This was one of those stories that kind of caught me off guard. At least for me, I don't think I hear many AIDS stories in the first world. I even asked around my group, when was the last time anyone heard of someone they knew dying of AIDS, and no one could recall. I looked online, and it's estimated that around 16,500 American die every year of AIDS. To put that number in context, in 2005, 42,000 Americans died from car accidents. Car accidents kill more people than AIDS now in America. After the school tour, we went to the slums to visit different families who had children in the school. 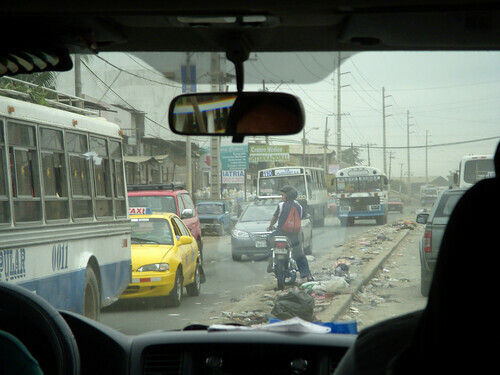 This was where we left the main city, and things started looking like a third world country that I envisioned in my mind. As we were driving down a stretch of highway, I noticed some cargo trucks had passengers armed with shotguns. I inquired why there were armed passengers, and Kirk said that it was a dangerous stretch of road. This leg of the journey would be the most dangerous part. As we got near the slums, we entered a huge stretch of dirt road with open air markets. The streets were littered with garbage. 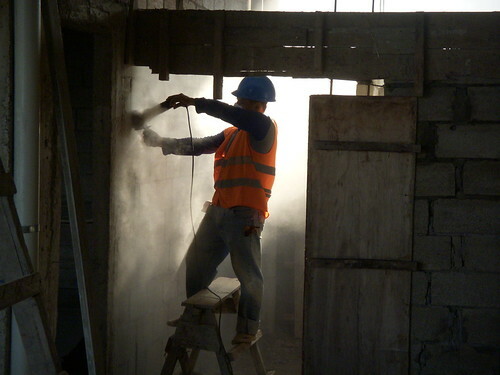 The air was full of dust from passing cars, and open construction sites. We finally reached the slums, and the first thing I noticed were burn marks on the sides of roads left from garbage burning. The air quality definitely was noticeable; the smoke certainly helped trap heat in the valley. 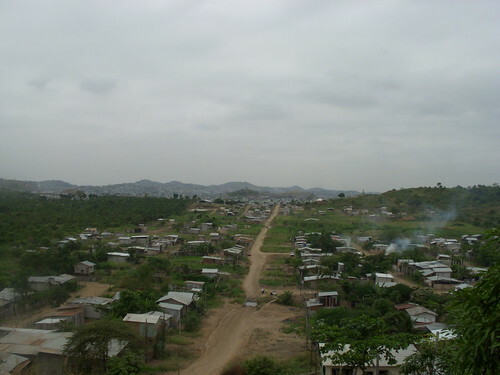 The following are a set of photos of the slums. 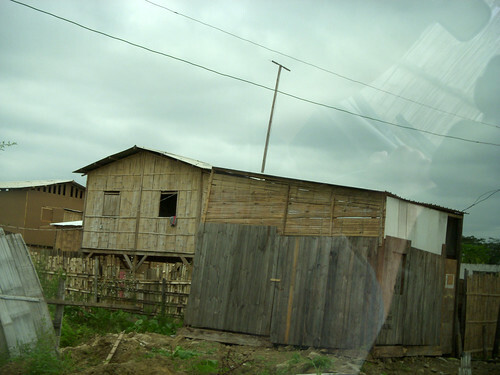 A lot of the houses were built from bamboo. It was interesting to see that as families saved up money, they would upgrade their houses to cinder blocks as their primary building material. Heading up to the slums, I definitely saw a couple yards selling cinder blocks. People would buy the cinder blocks and haul them back home. We went into a number of homes, and most of them had dirt floors. Most homes had one room which acted as the living room, bedroom, and kitchen all-in-one. One thing I didn't expect was that a lot of the homes did have a television and refrigerator. A lot of them didn't have indoor lighting during the day. Most the homes did not have access to clean water. The people we visited were very hospitible, but it was awkward as guests having to refuse drinks from families just because it wasn't safe to drink the water. I thought about how much families had to do to survive. The men would come back from their day jobs, and spend what extra time they had on building out their homes. The only way that I'm able to accel at my job in society is because I focus my talents on a very specific specialization. Things like obtaining clean water, building housing, and all those other tasks are offloaded to others in society so I can focus on my field. What a drain on human potential when people have to worry about the basic neccesities of living. 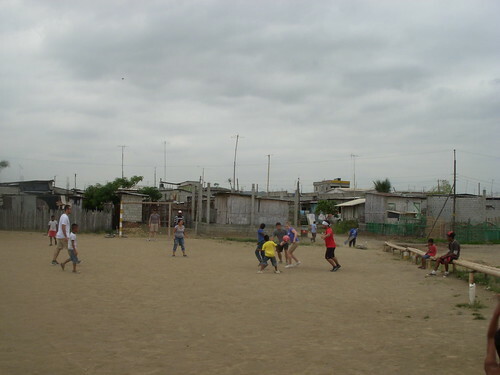 I initially was a bit hesitant in going to the slums because I didn't feel like I could do any good there. At least at the construction site, I was making some concrete contributions (pun not intended). We were out at the slums handing out food and praying people, but the pragmatist in me felt like it was merely a bandage solution. Building a school was at least a long-term fix to some of the society's problems. In hindsight I was glad that I got to see the slums first hand, and saw how people lived. It made me a lot more appreciative of the infrastructure we have and how it frees us up to focus on more important things. I certainly wouldn't be able to innovate if I was constantly focused on obtaining clean water or hauling cinder blocks. Visiting the slums also gave purpose to why the school building project was so important, it was a potential way of breaking people out of poverty. One of the ironic things was, we were warned that the slums would be the most dangerous areas we would be visiting. I definitely felt safer in the slums than in the city or the airport. At least with the slums, we had wide open areas with clear lines of sight. It would be fairly difficult for someone to sneak up on us without anyone noticing. The city on the other hand had crowds of people which puts me at a much higher state of alertness. 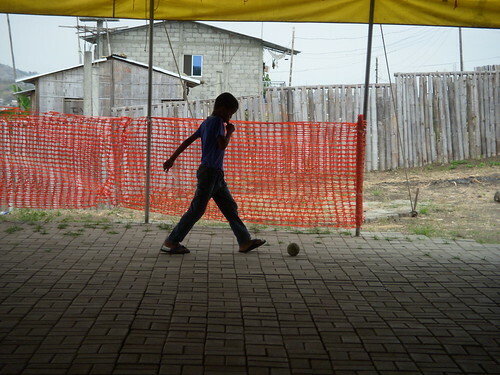 A very cool thing that we got to do in the slums was play soccer with the local kids and teenagers. The first photo is of a kid playing soccer with a melon. 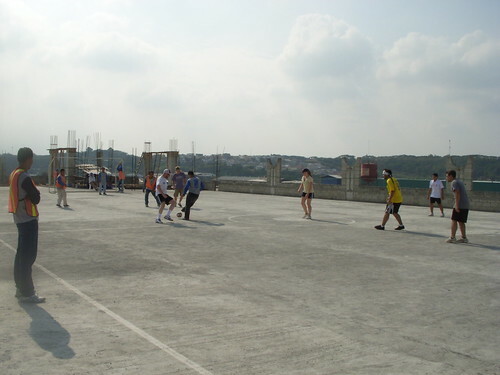 I managed to hold my own on the soccer field, I used my hockey skills to at least get proper positioning. I managed to get two assists. The teenagers that we played soccer with wanted to friend us on Facebook. It blew my mind that these folks had access to internet in the slums. One thing I noticed in Ecuador was the geopolitical influence that China was trying to exert in the region. It was interesting to see a number of infrastructure projects in the area were being funded and built by the Chinese. Kirk mentioned that China was securing Ecuadorian oil in exchange for infrastructure. When we were walking through the Riverwalk, I heard the sound of mandarin music in the distance. It turned out that the Chinese navy had docked in port, and they were doing a cultural exchange by showcasing a Chinese orchestra. I saw a ton of Chinese sailors watching the show. Another thing I noticed were the Chinese cars that were on the road; one of the brands was Cherry. The Chinese were definitely trying to compete for consumer dollars. From what I've been told, Toyotas and Hondas were stilled viewed as the premium brand. From the American sphere of influence, I definitely saw a number of American brands such as General Motors, Ford Motors, Kentucky Fried Chicken, Coca Cola, Pizza Hut, McDonalds, and The Marriot in the area. It was striking to see that a meal at Pizza Hut was considered a luxury. 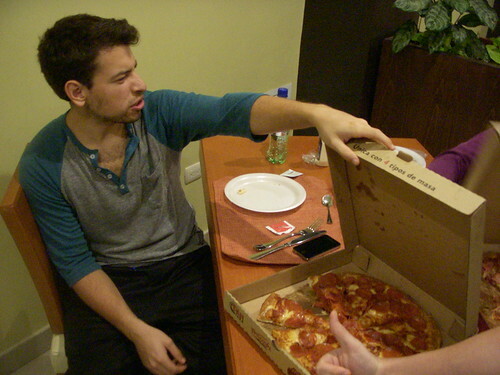 Two pizzas was about $20-$30 which was reasonable to us, but in the Ecuadorian context, that could be 10% of your monthly income. I also noticed some Israeli influence in the area. 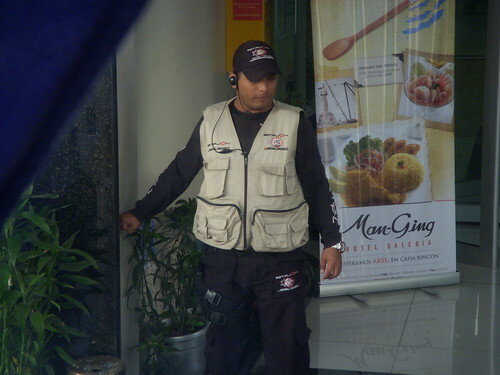 One of the high-end hotels that we passed by had a guard sporting tactical equipment from the Israelis. Security is definitely an issue in the country, so I guess the Israelis are there to offer their security expertise and training to the locals. 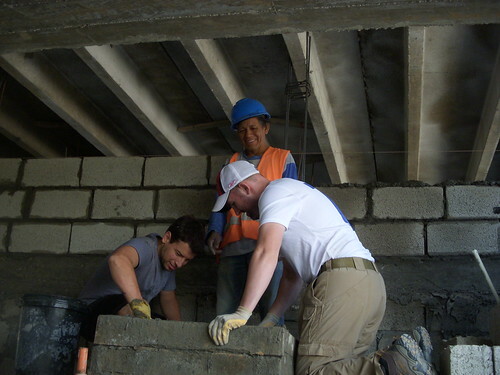 As we got accustomed to the job site, it was incredible to know that almost everything on site was human powered. There were hardly any power tools. I was also surprised by some of the worker's footwear, I was expecting steel toed boots, but I saw tennis shoes with holes in them. The job site also had a number of iguanas just hanging around. 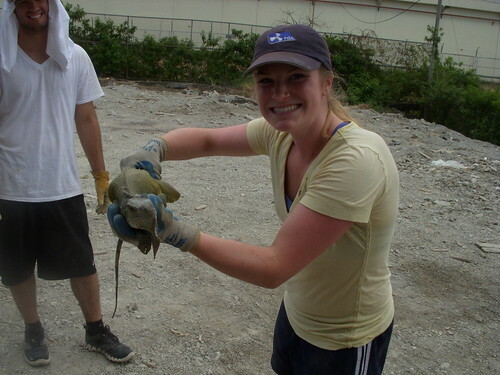 The team managed to catch a couple iguanas. The most amusing picture is this one of Tori holding this iguana. She was terrified by the little beast, and moments after this picture was shot, she dropped the iguana screaming, and decided to flee the scene. 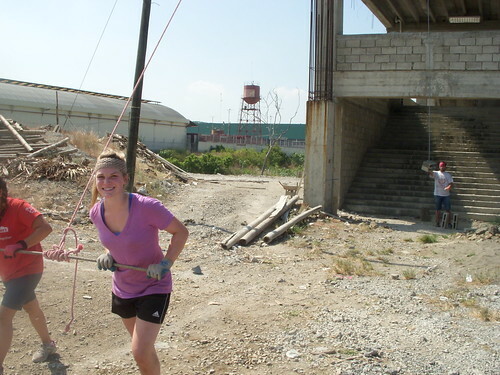 Right before she fled, she managed to push me into a pile cinder blocks. I found it ironic that after working many days in a dangerous construction site, the only injury I sustain was from a girl fleeing in terror from an iguana. On the very last day of construction, we blessed the workers by giving them all the equipment we had. 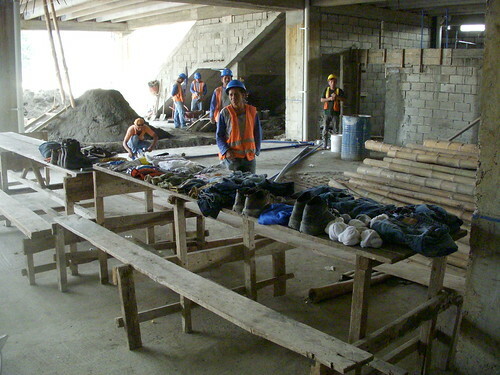 We left them our shoes, jeans, t-shirts, gloves, and building materials. From what I've been told, denim is like currency down there, and very much appreciated. 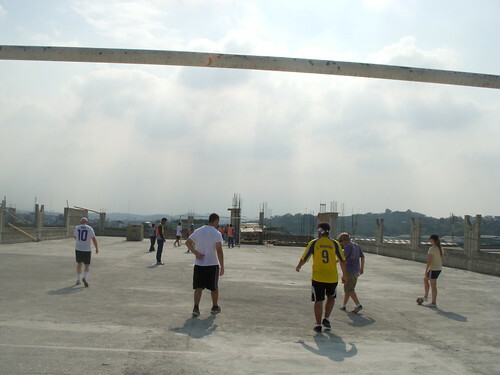 We ended the day with a game of soccer on the roof of the school. It was a very cool venue to play at, and a very memorable moment. It was an epic match, our team vs the workers. The scenary around us was incredible. The score ended up being 3-5. After the game, we took photos of the whole team, and shook hands with the workers. It was a strange feeling leaving all that work gear behind, it meant that we couldn't work anymore on the job site, and it concluded the service part of the trip. We were moving on to the rest and relaxation part of the trip, and we headed over to Point Lopez via chartered bus. The first thing we did was get on a boat at 9am and headed into the Pacific Ocean. 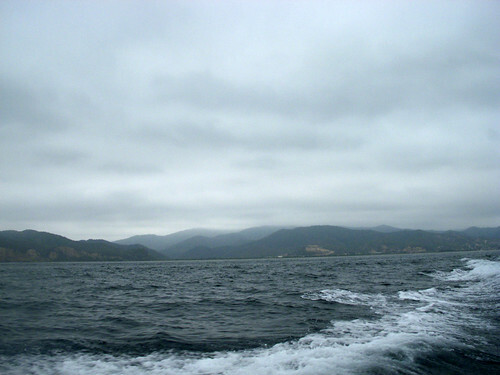 We were enroute to Plata Island which is described as, "The Poor Man's Galapagos Islands." 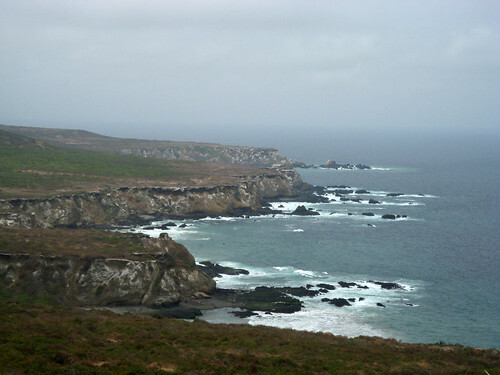 It was a national state park home to albatross and boobies. 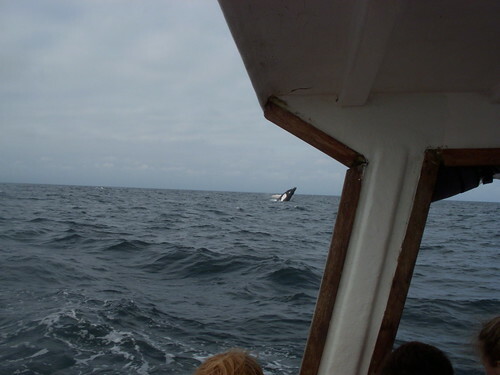 The boat ride was about 90 minutes long to get there, and we did come across some whales as well. 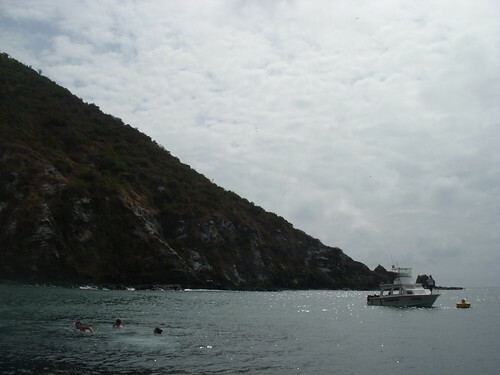 When we got onto the island, we embarked on a 4.3km hike around the island. The area was an ecologically sensitive area, so absolutely no food was allowed onto the island. After the tour, we basically hung out around town, eating, and sipping on smoothies. The town was definitely a tourist town, we saw lots of Europeans on the streets. I have to say, our hotel was definitely not as nice as the one we were staying at in the city. The mattress was hard as rocks, and the bed sheets were paper thin. The walls were also paper thin. At least we had proper hot showers. One of the most amusing stories I have to share is about Kirk's son, JJ who's autistic. In the afternoon, I stepped outside my room and started clapping my shoes trying to empty some sand. JJ happened to be in one of the hammocks in the courtyard and heard me. He proceeded to get up and started running towards me. I became alerted when he looked like he was going to try to tackle me from the feet. Before I could finish debating the ethical implications of fighting an autistic child, I found myself holding JJ down, and trying to prevent him from wrestling me to the ground. As I gained the upper hand, his sister turned the corner and saw me holding JJ down. Before I could say, "this isn't what it looks like," she ran away calling for her mom. Well.... this is going to be awkward. Her mom rushed over and got JJ off me, and apologized. Later that day, I met up with them, and the mother explained that JJ doesn't like shoelaces because he finds them restrictive. When JJ saw me hitting my shoes, he thought I was trying to free myself from the tyrrany of shoelaces as well, so he came over to "help." Hmmm, that makes perfect sense actually. Tired from our travels, we were finally on the way to the airport to start our journey back to the United States. We arrived at the airport at 8:30pm to catch a 11:30pm flight. We wished Kirk a farewell, and we were off. When we got inside the airport, the check-in line was unusually long. After waiting in line for an hour, we found out that the flight was cancelled due to a mechanical failure. To our exhausted team's surprise, we would be spending an extra day out here in the field. We had to be in line for yet another hour to chart a flight out of here. Chan: If it's going to take multiple days to get back to California, I'm just going to rent a car and drive back. Chan: Uhhh.... by renting a car? Lady: How are you going to drive there though? Jared returns from the ticket counter and tells us that we would have to stay an additional night in Ecuador, then catch a flight to Miami the next day, stay a night in Miami, then catch a flight to Chicago, and then to San Francisco. Some people were definitely stretched to their mental limits when they heard the bad news. I now understand why some people go on the reality show, The Amazing Race to discover what their significant other is like; true character is definitely on display when you're stretched to your limits. Thankfully, I packed a ton of patience in one of my bags. 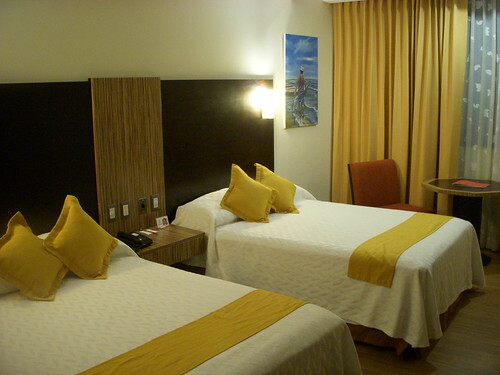 The airline put us up in a nice hotel in Ecuador. It was probably one of the nicest hotels I had ever stayed at in my life. The incredible thing was, the nightly rate for this fancy hotel was only $99/night. We ate a late dinner at the hotel, and the team dispersed for the night, and went to their respective rooms. Unfortunately with the team's emotions running high over the delays, and everyone being mentally exhausted, we let our guard down a bit too early. I was up late on my computer signalling my work that I would be at least a day late. I got a knock on my door, and it's Jared saying that some unknown person was trying to enter one of the girl's rooms. Stupidly, we forgot to write down which room everyone was staying at. We rolled into high alert, and found the girls. Long story short, a maintenance guy was dispatched to fix a door, and due to a language barrier, the girls thought someone was trying to break in. Thankfully it was a simple misunderstanding, but it was a wake up call for us that we still couldn't let our guard down. We got sloppy. The other revelation was that I realized I was one of the grown-ups now. Normally on trips, when something happened, one of the adults would just simply take care of the problem. How did I become one of the adults?! Security was definitely mentally taxing. 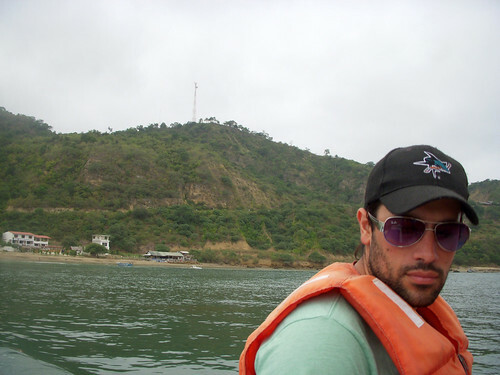 The best way I could describe it is, as you went to different places in Ecuador, you had to mentally change to different security contexts. Dangerous areas, you had to crank up your situational awareness to maximum. It meant a lot of looking over your shoulders, checking pockets to ensure nothing had been stolen, spotting potential threats, and keeping track of the team's whereabouts. You had some areas that were semi-safe, and then you had safe zones where you could mentally let down your guard. We got into Miami at around 9pm the next day. Unfortunately I got held up at immigrations for an hour as I needed some papers filled out before I could leave. On the plus side, in immigrations, there was an old lady from a French speaking African country who asked me in French if I could get one of the guards to help her to the bathroom. I was able to bridge the communication gap. As I exited the airport terminal, I was hit with this humid wall of hot sticky air, and it was disgusting. I didn't understand the appeal of Miami anymore. 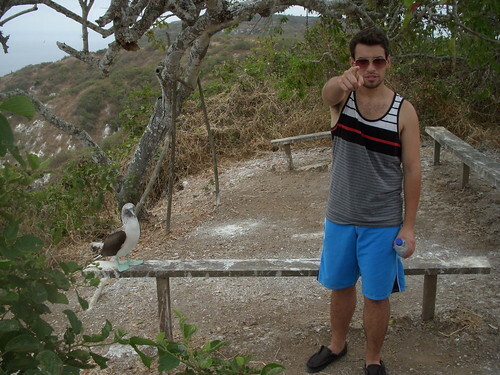 It was hotter than anything I encounted in Ecuador. We stayed at another hotel, which was not nearly as nice as the one we stayed at before. We were also ripped off in the meal we got with airline vouchers. The quote the came to mind was, "in America, people rob you with a smile." In either case, the next day we managed to complete the Miami -> Chicago -> San Francisco flights with no problems. I've heard from a lot of people who come back from missions trips that they encounter reverse culture shock when they get back to their home country. These were some of my feelings when I got home. Traffic is so quiet here, there isn't constant honking. The air is so clear here, it isn't brown and thick with dust. No more looking over shoulders and security context switches. It's strange to be able to drink water from the tap again. One of the concerns people had about me going on this trip was around burnout. After a pretty high intensity period of war at work, shouldn't I be taking a relaxing holiday somewhere instead of a working trip? One of my advisors said this, "as you bless other people, you will be blessed." I definitely feel blessed and rejuvinated from the trip. This was a spiritual journey to figure out what the next steps are, and to test my limits and see what I'm made of. Out there on the field, free from distractions, there's a lot of time to reflect and ponder. As I was floating out there in the Pacific Ocean, I got the impression that it was time to let some old dreams die in order to make new dreams a reality. God definitely seeded some new dreams. I have to admit being somewhat scared about the prospect of some of these dreams becoming real, while change is good, new realities are often disorientating, foreign, and uncomfortable. Is it strange being more worried about succeeding than failing? I guess it's a high quality problem to have. I jokingly refer to this person that was out there in the field as "Chan Prime." He is a humanitarian, a world traveler, a gentlemen, the ladies love him, and he has a beard. 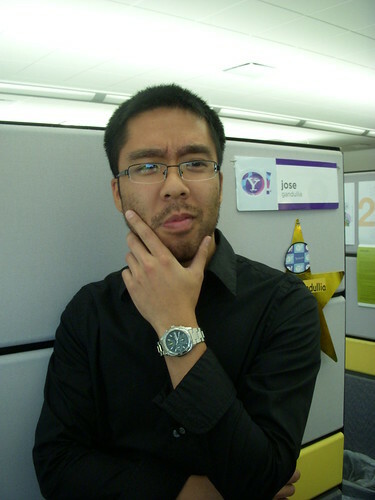 The funny thing is, when I got back to the office, the product managers were afraid of me and my beard. They said I looked really serious with the beard. In the future, I may summon Chan Prime again. If you've enjoyed these writings and derived some value from it, please consider making a donation to support the children of Ecuador. 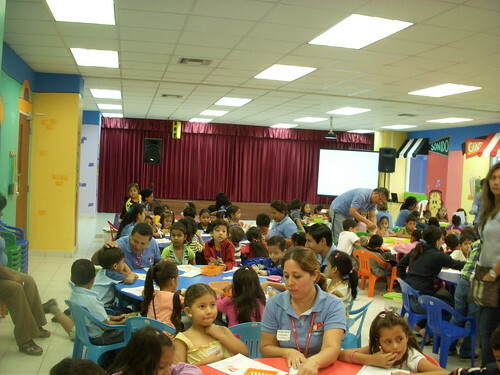 Ecuadorchildren.org is the non-profit organization that's building the school in Ecuador. They're currently trying to raise $750,000 for school construction because the government has reduced classroom sizes from 60 kids to 40 kids. They need additional capacity to take on more students. All donations are tax-deducatible as this is a registered 501(c) charity. Any amount helps especially if you consider the average household in Ecuador makes $300-$500/month. 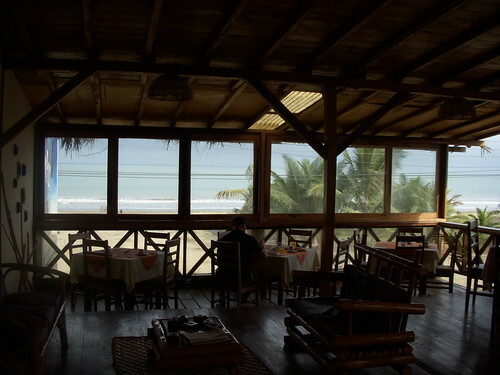 To pickup from last episode, our team had just arrived in Ecuador and got picked up by our host Kirk. This brings us to Sunday which was our day of rest. We took one day to get the team acclimated to the new time zone and environment. 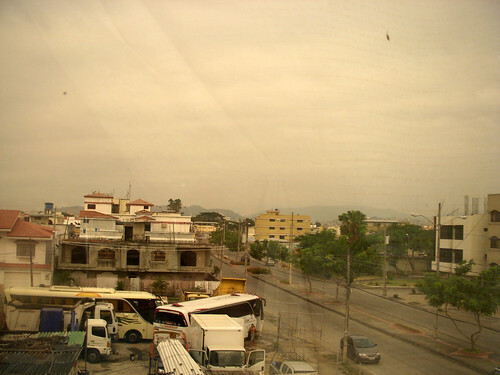 Monday (Day 3) would be the first day of work in Ecuador. We got up Sunday morning, and the first thing I do is look out our hotel window. 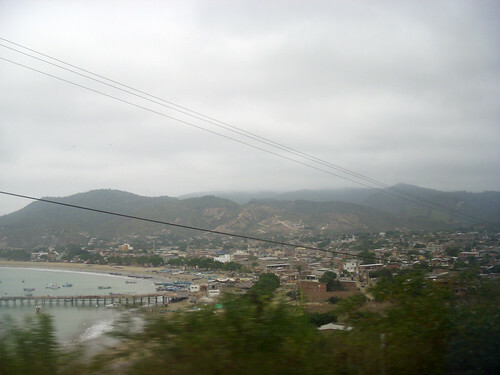 It was the first glimpse of Ecuador in daylight. It's hard to describe, but looking out into this foreign landscape, the world felt very strange. I'm reminded of that scene in the movie Inception when Cobb is describing dreams, and how in a dream you don't remember how you got here in the first place. Was I dreaming? Nope, I remember how I got here. While we're discussing movie analogies, I had a Fight Club moment. As I went through my wallet and pockets, I realized all of the material things that we lean on for security, confidence, etc are all completely and utterly useless out here in Ecuador. All of the firepower in my bank accounts were inaccessible. The car key I had in my pocket didn't matter. That company badge had absolutely no influence. That Canadian passport which represented all the rights and protections bestowed amongst its citizens did not apply out here. It was a humbling reality being a couple thousand miles from any given safety net. I had a funny conversation with Cameron at breakfast. He was drinking some of the orange juice and he mentioned how it tasted funny. I tried some of the orange juice, and it tasted fine. In fact, it was better than fine, the orange juice was fresh squeezed. I then asked Cameron if he usually drank Sunny Delight at home, and sure enough, the answer was yes. He was used to orange juice that was loaded with sugar (or high fructose corn syrup). It was a reminder to me how we manufacture somewhat fake food in America. It was a sad realization when real food tastes foreign, especially when we're drinking an honest glass of orange juice. More on this later. Once everyone was ready, we were picked up by a van, and headed to church. I'm quite glad that everyone on the team was prompt and on-time. I like being on-time. As we're driving through the streets, the lazy Sunday morning traffic seemed more mellow and less aggressive. The first thing I noticed was how every storefront had iron bars are something protecting its windows. The occasional store had a guard standing outside. I guess this was a reflection of the security situation on the ground. It struck me as how expensive it would be as a business owner to have to provide for your own security like that, it's like a tax on doing business. We pulled up to the church, and first thing I noticed were the armed guards flagging the van in. As we pulled through the parking lot, I saw a lot of young people outside dressed pretty modernly and hip. As we exited the van, you can hear that the place was alive with activity. We started on a walking tour with Kirk and his mom Janice. The church service takes 8,000 people every Sunday. You could tell that the church buildings were heavily utilized. Even the parking lots had large tents for youth services to take place. Janice took us through the children's ministry wing of the church. I was surprised by how much this church invested in children. They used new teaching curriculum every month to keep the lessons fresh. Drama was a big part of how they taught kids, so a lot of the classrooms we walked by had a stage. I could also spot sound systems here and there. Janice also mentioned how she hired professionals to help with the children; typically people who worked with children in the private sector. It was a very impressive display because a lot of churches I've been to, children's ministry is either an after thought, or it's inadequately staffed and funded. After the tour, we sat in one of the church services where Pastor Jerry (Kirk's dad) spoke (with Kirk doing live translation for us). At the end of the service, they showed a video highlighting a new capital campaign. 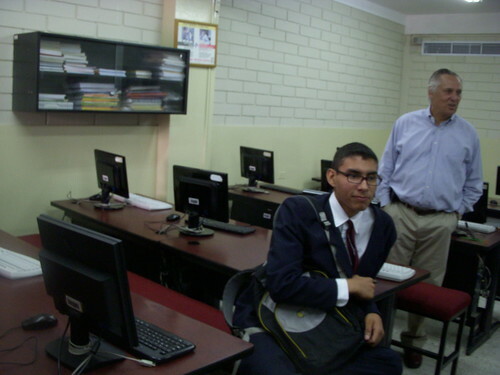 The government had mandated that classroom sizes be reduced from 60 students to 40 students. It meant that their existing school would be over capacity, so the new school would have to be finished ahead of schedule. They needed to raise $750,000 in 8 months. I asked Kirk what the average monthly income was for a family in Ecuador, and he told me $300-$500. The video was fairly impressive because it featured a pop singer who was an alumni of the school. The local church technology team had shot the entire video, and it was beautifully produced. 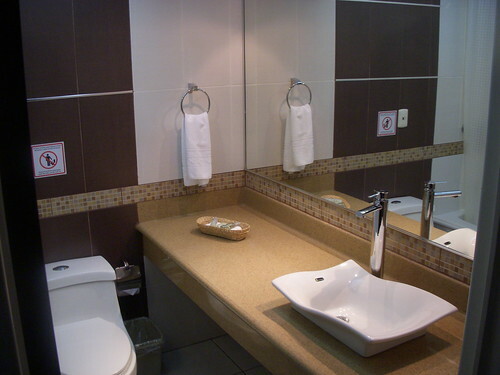 I was quite impressed by the quality of work, it looked very professional. After church, we had the pleasure of having lunch with Pastor Jerry and his family. 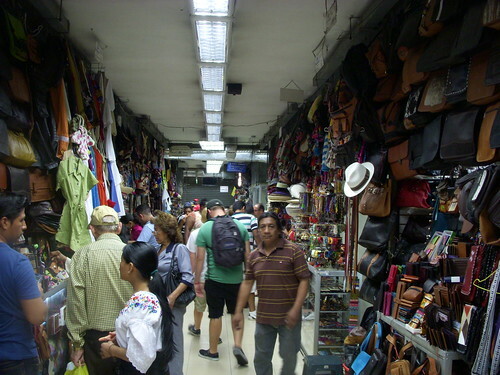 Our next stop was to the artisan market in Guayaquil. It was a public market that featured a lot of textiles and crafts which were made by the locals who lived in the hills. The first thing I noticed was how many westerners there were wandering at the market. My assumption was that this was a relatively safe zone. My assumptions were validated after we passed a couple armed guards. Another place we visited was the River Walk which was a beautified area of town. 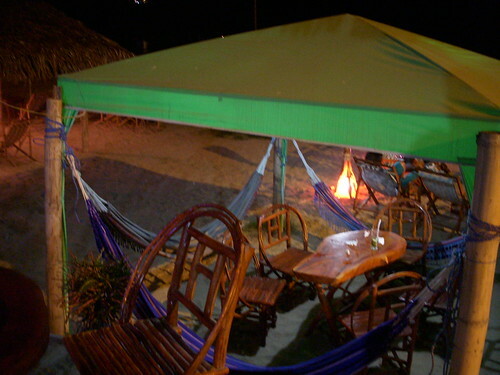 The story was that some travel show insulted the city by saying there Guayaquil was the armpit of Ecuador, and there was no reason to visit the city. The area was fairly dangerous, and literally had a black market in operation. The city invested and gentrifying the area and they cleaned the whole place up. Funny thing though, as our got dropped off, I saw a pimp showing off his wares. I quickly ferried some team members away, and I told the boy Cameron to keep his eyes forward, nothing to see here. Hilarious. The River Walk featured this monument which celebrated the defeat of the Spanish. 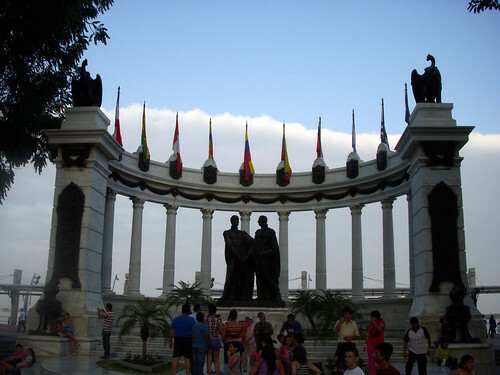 The monument showcases the men who decided to start many South American countries, and made a conscious decision to create democratic nations rather than monarchies. Monday morning hit, and it was time to do what we came here for, school construction. The team got together for breakfast and devotions. I was very thankful that everyone left the hotel on time, I've heard of horror stories about tardy people on other trips. 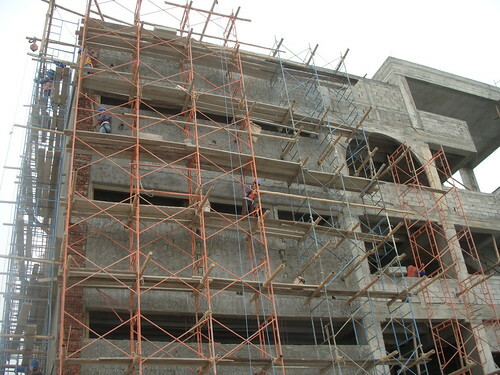 We pulled up to the construction site and it dawned on me how big this project was when I saw this large five story building. 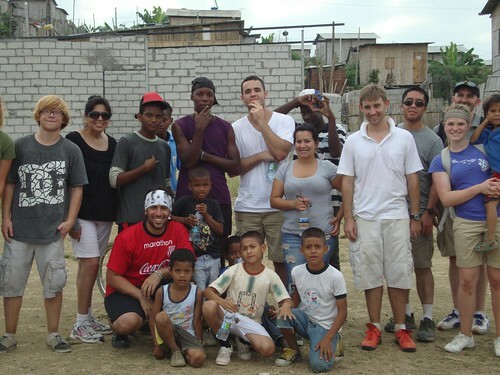 We met up with the foreman, Jose (aka The Maestro), divided up the teams and away we went. Jared, Justin, and I got put onto concrete duty. Little did I know that was the most physically demanding of the jobs. It was indeed a very dirty job. I'm also not the biggest guy either, so sheer brute force tasks aren't my forte, but I will try my hardest. At first the workers were kind of making fun of my inability to lift buckets of concrete up over my head. I thought, oh no, if the whole week is going to be this, I'm not sure how I can physically do this. Thankfully as the workers warmed up to the team, they started sharing their secrets and techniques. I started getting the hang of it. That night when I got back to the hotel, I had to hand wash all my clothes because they were caked with concrete and dirt. I also ate a fourth meal that night to keep up with my energy needs. My metabolism had kicked into high gear from all the physical labour. On the plane I was reading a book entitled, "The Information Diet", and the book goes at length to compare food diets with information diets. In either case, they spend quite a bit of time talking about modern diets and how a lot of the foods we eat are bad for us, and how a lot of food is very artificial and processed. A lot of the foods we're drawn to (fatty, sugary, salty) are very bad for us if we're sitting around all day. The talk of healthy diets caused me to consciously choose healthier and more moderate portions during breakfast, and that was a very bad idea. By 11am, I felt an energy crash, my body was completely out of fuel and I needed more food. That was one of those funny first world vs third world problems. Out in the third world, when I was labouring, I needed a lot more energy, so all those fatty delicious foods were actually energy abundant foods which are very necessary. I even started drinking more Coke just to get more calories into my system each day. The other thing I wanted to contrast was the idea of natural foods versus manufactured foods. The Information Diet talks states that America's food system is focused on producing calories as cheaply as possible. As a result, a lot of the manufactured food is very bad for us in the long-term. 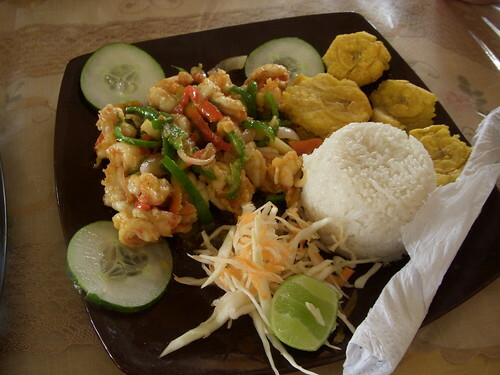 In Ecuador, we had locally grown food, but it was sometimes dangerous to eat because of pathogens. 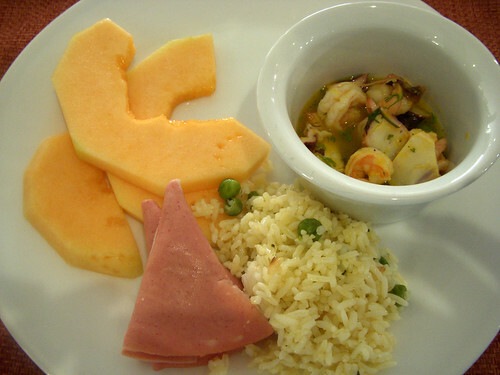 The food in Ecuador did seem a lot more honest though, most the juice we had was fresh squeezed. The coffee I bought had been packed a week before from someone local. I pondered what food system was doing more good. Is it ethical to have a food system that produced local honest food, but was sometimes too expensive for everyone to be fed? Or is it more ethical to have a food system that produced abundant cheap manufactured food but did not necessarily nourish people, and caused long-term problems like obesity, diabetes, etc. We ate most meals at the church, and Kirk told us it was fine to eat as much as you wanted, but not to waste food. Some of the kitchen staff had family who didn't have enough to eat, so wasting food is kind of offensive. Stay tuned for part 3. (Pardon any grammar/spelling mistakes. I had to get this article out fast, and I'm writing while at Kids Camp).